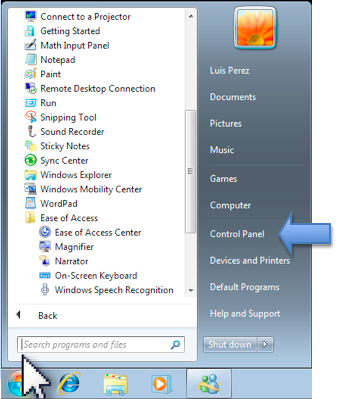 The Filter Keys feature in Windows 7 helps prevent unwanted keystrokes by adjusting the amount of time a key has to be pressed before its input is recognized by the operating system. Keyboard shortcut: enables a keyboard shortcut (pressing the Shift key for 8 seconds) to turn Filter Keys on or off. This section also includes two ways you can be notified when Filter Keys are turned on: a warning message or a system sound. Turn on Bounce Keys: ignores repeated keystrokes for a specific amount of time. Use the menu to choose the delay before the system recognizes a pressed key when this feature is on. Turn on Repeat Keys and Slow Keys: ignores quick keystrokes for a specific amount of time. Click on the “Set up Repeat Keys and Slow Keys” link to adjust how long a key has to be pressed down before the computer recognizes the keystroke. You can also change the keyboard repeat rates. 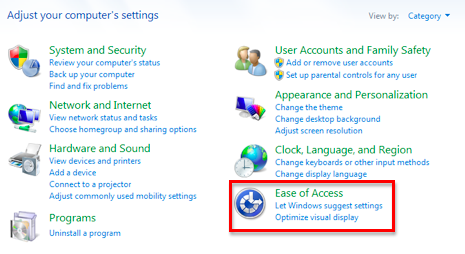 Other settings: enables a beep sound when keys are pressed and allows you to show the Filter Keys icon on the taskbar.